Hi everyone! Corri here today sharing some graduation themed projects for our Mix and Match week. We got invited to a ton of graduation parties this year so I decided to make some projects with those in mind. 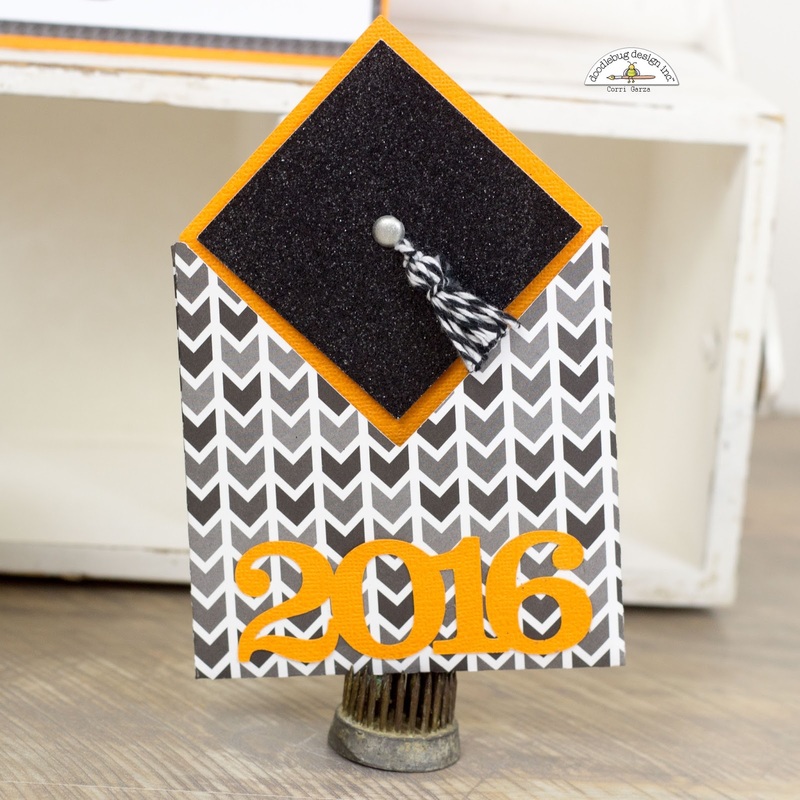 Our school colors are black, orange and white so I went through and picked paper and cardstock in those colors. I used my Silhouette Cameo to cut this cute Graduation Gown Box from Petite Prints Collection and trimmed with some Tangerine and Lily White Textured Cardstock. I added some brads and a bit of Doodle Twine to finish off this fun box. It's large enough to hold a gift card and a few pieces of candy. Graduated always need gift cards. 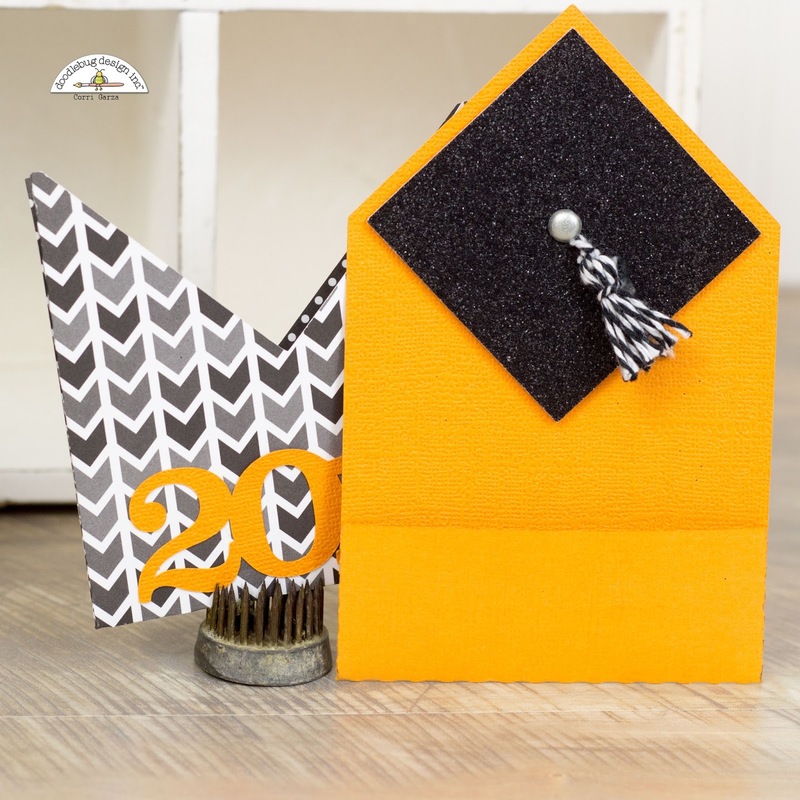 So I decided to make this Graduation Gift Card Holder. I cut the envelope portion of the project from this print from the Kraft in Color paper pack. I cut the interior portion of the holder from Tangerine Cardstock and the cap from some Sugar Coated cardstock in Beetle Black. I made a small tassel from some Doodle Twine and attached it a brad. 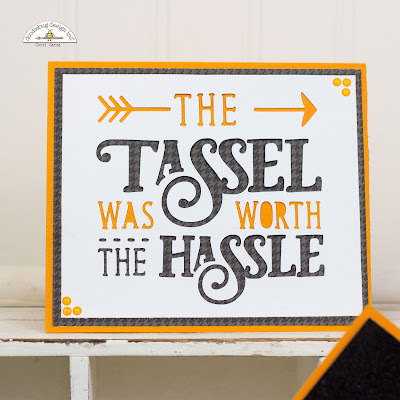 For my final project, I cut this word art from the Silhouette Store from a piece of Lily White cardstock and back it with the houndstooth pattern paper from the Kraft In Color paper pack and some Tangerine cardstock, I love how simple this card was to make but it really has a big impact. 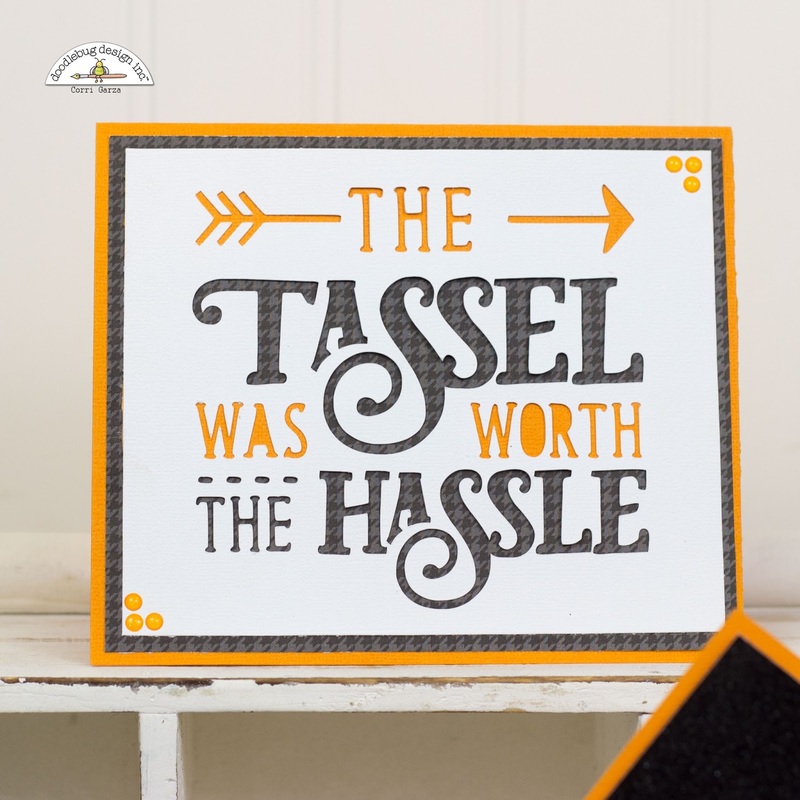 The Doodlebug Designs textured cuts perfectly with the Cameo even on these small cuts. I hope you've enjoyed these die cut projects! I love mixing up the product lines. Such a cute set! I really like the sentiment on the card. Very sweet! 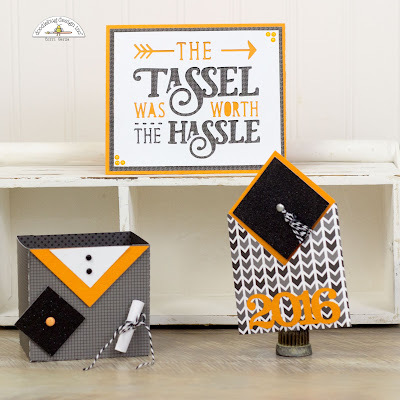 Wonderful projects and I love how you mixed and matched!! 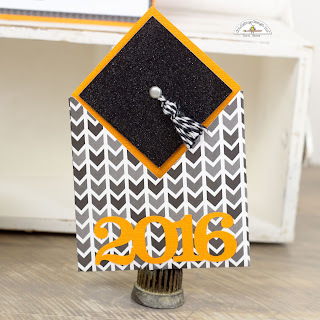 Love that you shared a Graduation idea!! So cool! !